Randy H. Cosgrove, family man, a coach, mentor, a community leader, of Coraopolis, passed away on Tuesday, December 4, 2018 at UPMC Presbyterian at the age of 67. He was born in Pittsburgh on August 4, 1951, only child to the late William and Elaine (Reagle) Cosgrove. Beloved husband for 28 years to Jeanne (Trunick) Cosgrove; loving father of Nikole (Craig) DeWitt, Amber (Timothy) Baker, Ashley (Mike) McAnaney, Austin Cosgrove and Allison Cosgrove; grandfather of 6. A 1969 graduate of Plum High School, Randy was admitted to their Sports Hall of Fame in 2011. He obtained his bachelor’s degree in Education from Ashland University in 1973. Upon graduation, Randy began his sports career with Robert Morris University as Sports Information Director and continued on as Athletic Director at North Hills High School, Ambridge High School and Bishop Canevin High School. Respected for his knowledge, Randy was named Athletic Director of the Year, was recipient of the Golden Quill Award and for 15 years was “The Voice” that announced the Steeler’s games. 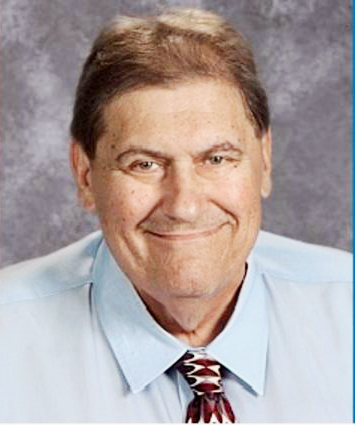 Randy was a faithful member of Coraopolis United Methodist Church, served on the Board of the Coraopolis Memorial Library and was a member of Cornell Youth Athletic Association (CYAA), Pennsylvania Interscholastic Athletic Association and Athletic Directors Association. He was heavily involved in the Coraopolis community and was a member of the Cornell School Board and former President. He worked tirelessly getting sponsor support for CYAA. Randy lived and breathed sports. Every sport season was his favorite sport. He loved coaching and mentoring children in all sports but especially baseball. His son, Austin, was coached by “DAD” over 10 years. Randy loved his family and had a big heart toward everyone. A memorial visitation will be held on Friday 2-4, -9 at Copeland’s Coraopolis, 867 Fifth Ave. Further visitation on Saturday from 1 PM until time of Memorial Service of Celebration will be held at Coraopolis United Methodist Church, 1205 Ridge Ave., Coraopolis, PA 15108 at 2 PM. In lieu of flowers, family suggests donations in his name to the American Heart Association or Coraopolis United Methodist Church.